Expanding access to viral-load testing in francophone Africa. A viral load test is a key marker of treatment success. Today only 38 percent of people living with HIV who receive antiretroviral therapy have access to the test. Access is even more limited in francophone Africa, especially in countries with low HIV prevalence and weak health systems. The OPP-ERA project started in Burundi, Cameroon, Côte d’Ivoire and Guinea in March 2013 (Phase 1 2013-2016, US $6.4 million). 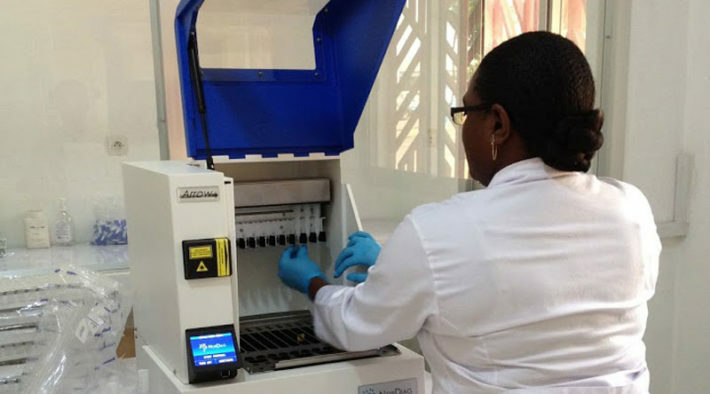 It promotes access to Open Polyvalent Platforms (OPPs) – an innovative open laboratory system that can be used to perform HIV viral load testing as well as a host of other molecular tests including those for diagnosing tuberculosis and viral hepatitis. For trained laboratory technicians, the system is flexible and easy to use and maintain. The OPP-ERA project is starting to fill the diagnostic gap, to help reach the final “90” in the project countries (90-90-90 target). For example, in Burundi, viral load testing coverage went from 0 to 20 percent in 3 years and OPPs are still the only available testing option in the country. 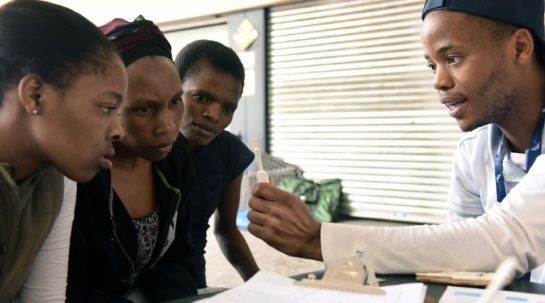 The project aims to demonstrate that the platforms are cost-effective, and suitable for early-infant diagnosis of HIV, as well as diagnosis of tuberculosis and viral hepatitis at all ages. The OPP model has already been implemented in four countries. Seventeen countries outside the scope of the project have also invested in OPP technology, some of it purchased through Global Fund grants. The expected impact from this grant is to support the scale-up of viral load testing, by bringing OPP technologies as a complement to other viral-load testing approaches. This polyvalent system can also support integrated disease management in underserved areas.